Looking for great bachelorette party ideas Miami?This inspiration page is your look-book for your weekend getaway to this beachy bachelorette destination! At Butlers in the Buff we’ve put it all in one place, perfect for the busy MOH on the go! Gorgeous, charming and just the right amount of cheek, Butlers in the Buff are a great for a bachelorette party ideas Miami. Book a butler to start off the weekend right in your hotel suite. He will mix your drinks, hand out canapes, mingle with your guests while wearing little more than a bottom revealing apron, collar, cuffs and bowtie. Visit our party games page for a great selection of interactive games you can play with your Butler in the Buff! Looking for more bachelorette party ideas in Miami? Check out our blog for the most up to date features. Our top tip for any destination bachelorette weekend in Miami is plan your base camp wisely! Choose hotels that are closest to the beach. The main attraction for your weekend getaway should not be a mission to get to! Lowes South Beach or the Mondrian are great picks with amazing spas and pools in addition their proximity to the beach. A fabulous Miami bachelorette party idea is to create little beach packs for your guests, little white, blue or pink pails with a coordinating beach towel rolled in, a pair of personalised sunglasses, temporary personalised tattoos and a little hangover kit will make your beachy experience with the girls extra special! Visit our accessories blog for more inspiration. Once your hotel is booked in, focus on reserving at least two fabulous meals out together and reserve your table early! Cecconi’s is elegant, the most beautiful al fresco Italian dining experience and a favourite in Miami popular for both brunch and dinner. Doing both is a must! The Bazaar by Jose Andres is cutting edge dining to say the least, tapas inspired but extraordinary and a fantastic addition to any bachelorette weekend! There is no shortage of luscious spa hotels in Miami South Beach, the only challenge is choosing which one! The Standard Spa offers great day packages for guests and visitors alike. It’s on Belle Isle so is a great escape from the buzzing South Beach crowd. Perfect for a Saturday excursion! Why not start off your perfect spa day with a brunch in your suite served by a gorgeous Butler in the Buff? He can man the morning cocktail bar, serving mimosas and Caesars, or surprise the bride to be in bed with a hunky butler wheeling in the room service! 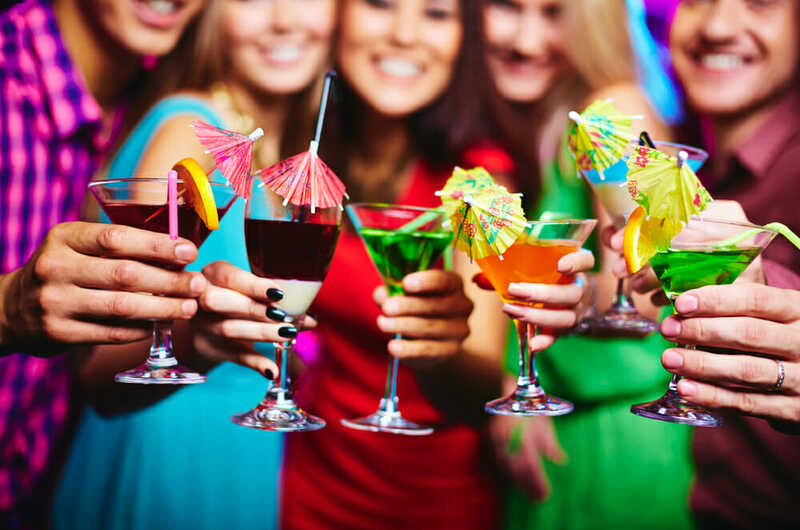 For more great bachelorette party ideas Miami, why not stop by our Facebook or Instagram pages to view what many other bachelorettes get up to? Don’t forget to book your fabulous Butler in the Buff!